Lil Country Librarian: My TpT store is on sale! All items are 28% off! My TpT store is on sale! All items are 28% off! 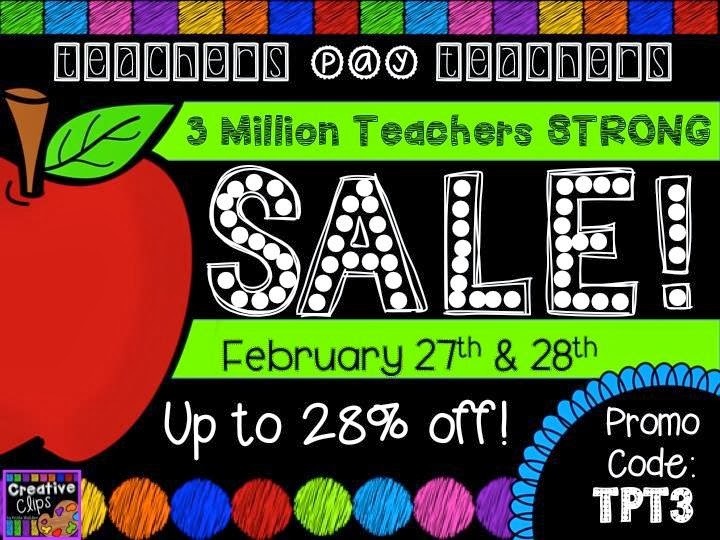 Congratulations to TeachersPayTeachers for a being a whopping 3 million teachers strong!!! It is such an amazing resource for teachers and parents and I'm so thankful to be a buyer and seller! To celebrate, my entire TpT store is on sale for 28% off through February 28. Be sure to use code TPT3 at checkout to take advantage of the full discount.